Content Warning: Suitable for ages 13 and up. 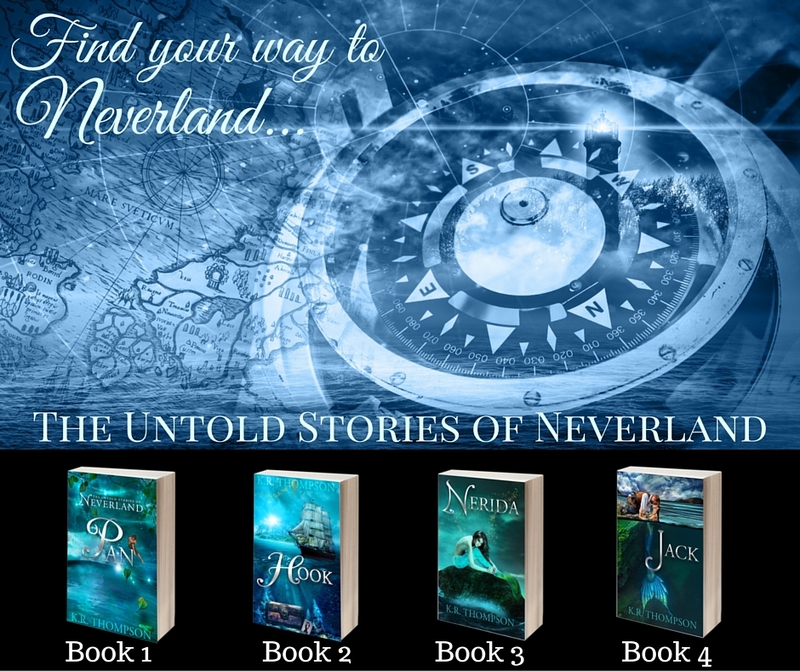 This is a darker series, showing how the characters in Neverland came to be. 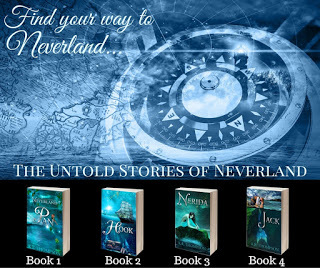 This isn’t your Disney variety of Neverland, it is more like the television series Once Upon a Time. THE TINY PIXIE flew over the dark rooftops to the crumbling tower in the center of the town. Zipping to the top, she chose her usual spot and greeted the gargoyle perched on the edge of the roof. Taking one final look to make sure she had the best view, she plopped down on the tip of the monster’s nose and settled in to watch the boy fly from house to house. 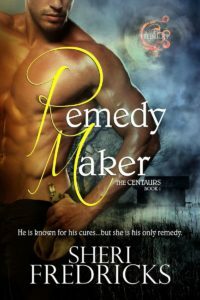 At least he was taking his task seriously, she decided, watching him raise up on his toes in an effort to gain a better look inside one darkened, upstairs room. Some guardians were lazy, but this one was not, which was just as well, she noted, as the small, shadowy figure of a child exited through the window and joined him. A few seconds later, the two flew off into the night sky. The children of humans could be a handful—the ghosts of them even more so, especially when they realized they were no longer among the living. It only made sense to appoint another child to deal with their sorrow and accompany their spirits to the other side. The source of her attention currently gone, the pixie idly kicked into the open air. Small bits of dust sprinkled each time her feet touched the open mouth of the monster she’d been making a seat of. 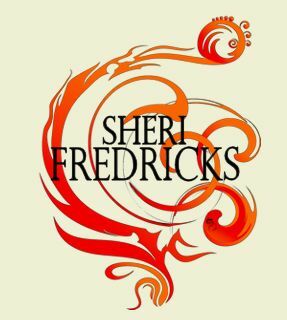 She glanced down, noticing his bottom teeth now sparkled like gold in the moonlight, giving him an even more ferocious look. The poor thing looked dreadful, with long curling teeth and bulging eyes—nothing at all like her own pretty, golden self. She gave him a bright smile. Likely, that was the only kindness ever given the monster forever stuck up here on the edge of this roof, so she reached down and gave his hard cheek an affectionate pat before turning her attention back to the sprawling town below. After all, she hadn’t come to save this monster. 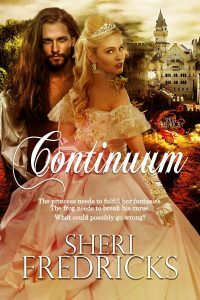 She’d come for the boy and soon he would need her—but not nearly as much as she needed him. AN ETERNITY PASSED before Big Ben tolled five bells. 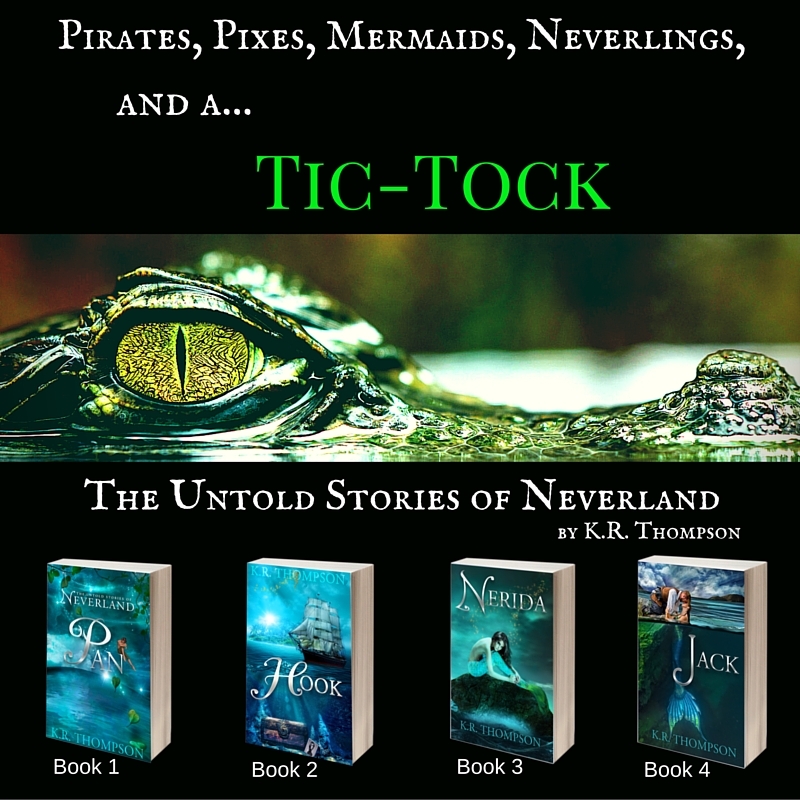 They were heavenly peals to Archibald Jameson, who began to wonder if time had somehow gotten stuck or if the gigantic clock across the square was broken. Stretching out his long legs, he stood up from the desk and scooted around the corner, taking care not to bump the towering mountain of paper at the edge. Naturally, it was the largest stack in the entire room—the work that he had yet to finish. If he was even a fraction as meticulous a man as his father—the very man who left him the shop—he would have stayed, locked the front door, and remained into the wee hours to finish the work, however long it should take. But he was not his father, and he had no intention of pretending to be so. While he was very good at running the print shop, it wasn’t something he enjoyed. It was only what he must do to ensure his survival. Remaining any longer than necessary just wasn’t going to happen as far as Archie was concerned. His inheritance should have been a blessing since he was the youngest of four sons. Without the steady work the shop provided, he might as well have lived out on the street, begging for what scraps could be found. To him, the feel of the paper and smell of ink felt like a prison where he was trapped day in and out. His only release came in daydreams. As he pondered another life or another world, the work piled up before him. He spent hours upon hours each day, dreaming of adventure, of places and people that always made those in his life seem dull in comparison. Those daydreams made his life bearable. But even the daydreams wouldn’t hold him there once Big Ben chimed its fifth peal. He never stayed a second longer than required. He blew out lamps and turned over the sign in the window, then pulled on his frayed, black frock. He took one last glance around, then slapped on his hat and stepped outside. Chilly air greeted him as he pulled the door shut, listening to the muted sounds of the doorbell. He turned the key in the lock and jiggled the knob. Odd, he thought. The tinkling sounds he heard earlier sounded nothing at all like the brass bell on the frame of that door. Odd, indeed. Perhaps it was the remnants of his latest daydream, for the door had never sounded that way before. Still pondering the bell, he turned and rammed directly into a young boy, who let out an audible oof, as he landed on the side of the street. “I do beg your pardon,” Archie said, offering both his apologies and his hand to help the boy up. The lad flashed a smile, showing a unique set of small, pearly white teeth, before he took Archie’s proffered hand and replied, “Quite alright.” Without waiting for Archie to say anything more, the boy took off, disappearing around the bend. 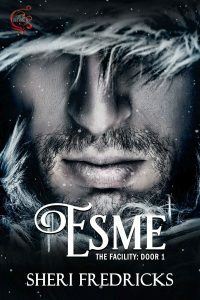 Hunching over against the cold wind that sent leaves dancing about his legs, Archie shoved his hands deep into his pockets, and made his way down the bricked street, no longer in the rush he was in moments before. The voice of the man and his wife argued back and forth as Archibald stood, rooted in place, wondering at their strange conversation. As this was his normal route home, he walked by No. 27 every evening. He half-hoped this financial dispute might possibly involve their dog. If it did, he would be more than willing to step up and offer to solve their financial dilemma. He lived alone and the thought of the trim Newfoundland he had seen carrying in bottles of milk from the front steps bolstered his spirits. The talk of colic, however, kept him from knocking on the front door. It was at this point a sharp cry of an infant pierced their conversation and Archibald was quite certain that Nana the Newfoundland was most assuredly not the topic of money, colic, mumps, and their current distraught state. He shook his head, wondering about the sanity of the Darlings in No. 27 as the silhouette of a woman he presumed to be Mary shut the window and the voices muted. Poor Nana, Archibald thought, to be stuck with people such as that. He didn’t even want to think about the child whose fate rested on the odds of her contracting whooping-cough and so he openly wished the inhabitants of No. 27 would not be so lucky as to have any additional offspring. He voiced exactly that, and in that same instant, heard that funny peal of bells again. This time it sounded suspiciously like laughter. Thespa, queen of the water sprites, has brought her own Lost Ones to Neverland. 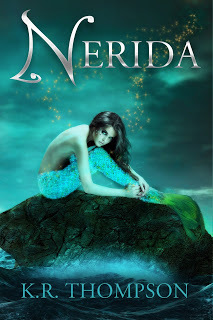 As the mermaids and mermen arrive, the magic returns once more to the Never Sea. But with these newest inhabitants, something darker and more dangerous than the crocodile lies beneath the surface. 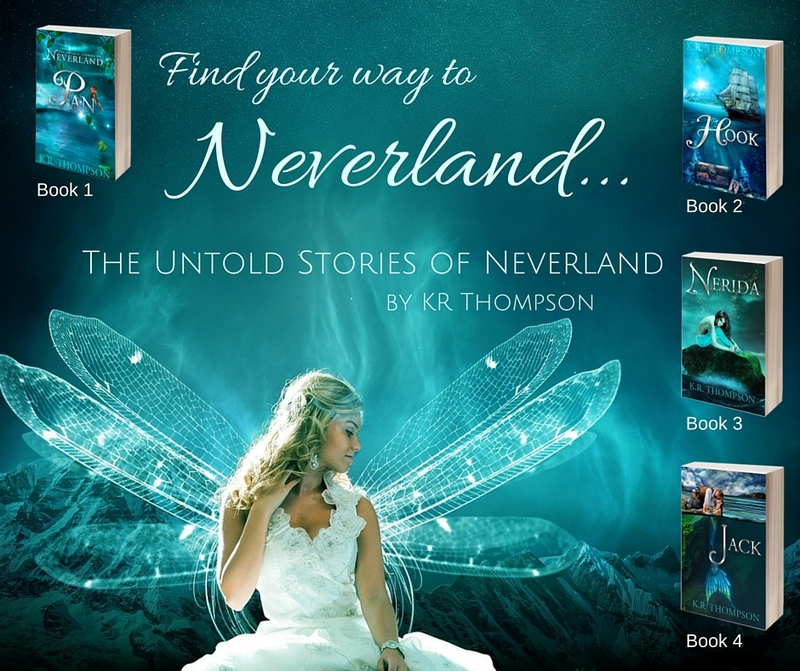 Discover the untold story of the one destined to become the sea witch of Neverland. THESPA, QUEEN OF the water sprites, and ruler of all the Never Sea, returned to the human world with a profound sense of dread. As the leader of the watery half of Neverland, not much worried her. At least, it hadn’t until the humans began forgetting about magic and the sprites began dying. This trip back to the human world wasn’t one she had made out of choice—necessity brought her here. She’d come to find someone to believe in her, possibly several someones, depending upon how successful her quest proved to be. Then, she’d bring them back with her as a sort of insurance so she’d never have to come to this wretched place again. Fish won’t do, she decided, staring at the wide-set eyes of one particularly ugly pufferfish. She stood on a wide piece of coral, deep beneath the waves of this warm human ocean, and looked around. More unintelligent fish, crabs, and other sea creatures milled about, none looking particularly pleased or excited to see her. The only ones who showed any interest in her at all were the ones who stopped just long enough to see if she was a small, sparkly bit of food. This could take forever. Her wings dipped down in dejection. I wonder how long it took the pixie to find that flying Peter-boy? 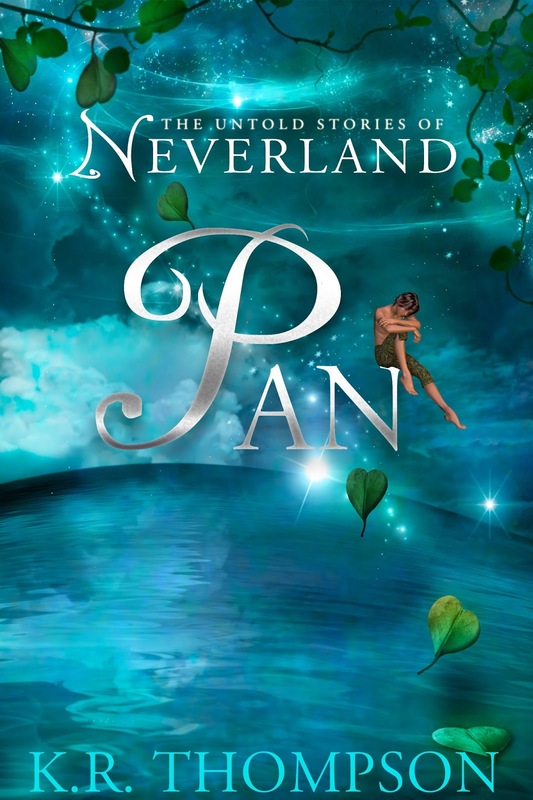 One of the golden pixies, Tink, had been the first to bring someone to Neverland. When that proved successful, she’d brought a handful more. Her Lost Ones, the pixie had named them. 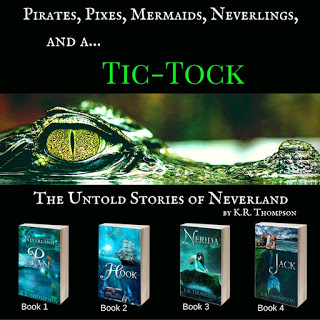 They were, Tink explained, the ones the human world wouldn’t miss. Thespa crinkled her nose in disgust. As a creature of the sea, she didn’t care for humans. Though they resembled water sprites and had legs to walk about on, they lacked a graceful set of wings that could take them through both water and air. And they most certainly didn’t have any magic. Humans were meant to be above the sea, not below it. Still, the idea of taking someone or something to Neverland that wouldn’t be missed did appeal to Thespa. She sighed, wondering again how long it took Tink to find her Lost Ones. She started to fly from her perch and try a new place when something stopped her. Literally. Thespa looked down and scowled, kicking the errant strand of seaweed that had twisted itself around her foot. The bit of green plant gave way at her vicious kick, but left a long green streak of slime down the length of her leg as a parting gift. This, of course, did absolutely nothing to improve her mood. She was so aggravated that something extremely important had escaped her notice—the gaping jaws of an eel headed directly at her. Her anger disappeared in a fleeting second, but it was too late to move. 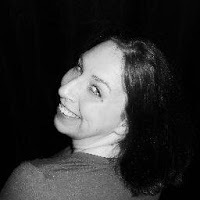 Then, a hand wrapped around her an instant before the monster’s teeth snapped. Nonplussed at missing its small, sparkly appetizer, the eel swam off in search of another easy, unsuspecting meal. Once the hand opened, Thespa let out an uneasy breath and looked up into a pair of wide, silver eyes, framed by long locks of blond hair. At first, she thought she’d been saved by a human, but then she spotted his long tail and realized he was as much a creature of the sea as she—and he was exactly who she’d been searching for. Memories are fading as the pirates forget the life they once knew. 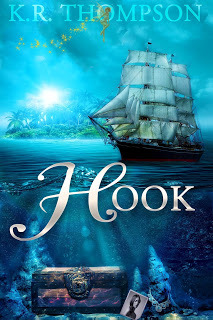 Only one has managed to remember his life before Pan whisked him away to Neverland–and he’s determined to find a way to escape in spite of Hook’s need for revenge. 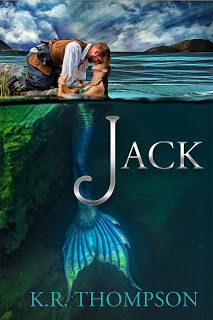 Seeking a way to restore the memories of the Jolig Roger’s crew, Jack crosses paths with a mermaid searching for her own answers to Neverland’s secrets. 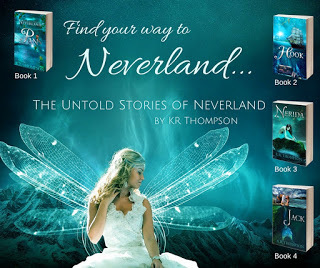 Discover the untold story of the Lost Boy who was destined to grow up and the mermaid who will steal his heart. 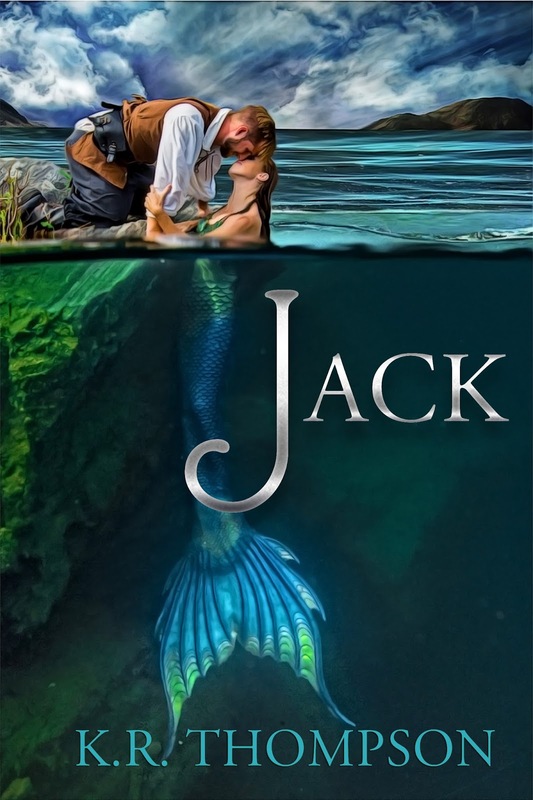 It was doubtful the mermaid who had saved him the day before was going to be there to guide him again today, but the unexpected thought of her made him want to peer into the water in hopes of seeing her beautiful face. He shook his head. It wouldn’t do to get preoccupied with her now. 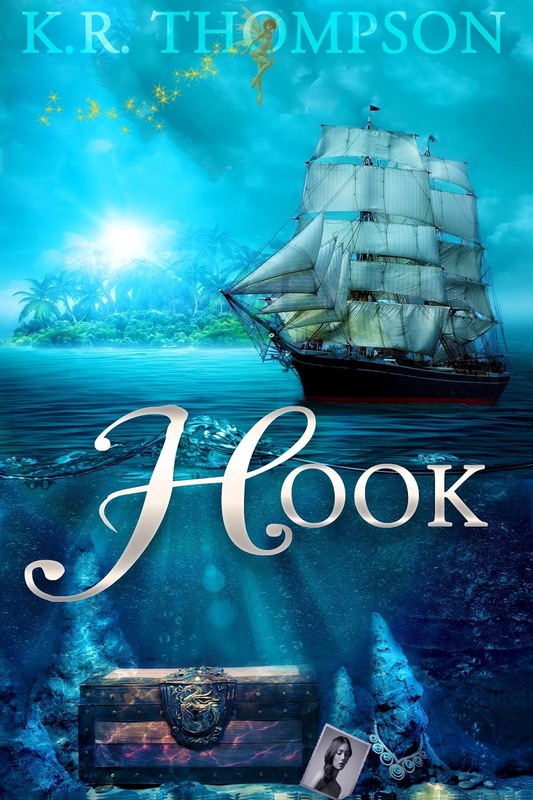 He glanced over his shoulder and spotted a crooked wooden sign hung precariously on one jutting rock at his left. Shallows. Ye be warned, it told him. Each time the pirates had a mishap, they’d gone to making some sort of sign to warn others in the crew. Being as the pirates were a suspicious sort, there were such signs scattered across the island. Jack had seen many of them. Some of them were legitimate, while others were a matter of opinion. Once he’d seen a sign at the bottom of a tree, an arrow pointed up at the branches where a honeybee’s nest sat. No worth it. Ye be warned. The maker of that particular sign had been Bob Murphy, who had fallen out of said tree and suffered a broken finger. The thought of Murphy made Jack turn his attention back to Patch and Beetles. In a few more strokes, they would be at the shore, and were clear of all signs of the rocks. The taller boy seemed lost in thought, oblivious to everything around him. Beetles, on the other hand, was staring directly at Jack. “The one Pan brought isn’t right,” he said finally.